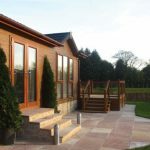 It would be difficult to find a lodge development with the same sophisticated exclusivity that Rowanwater has to offer. 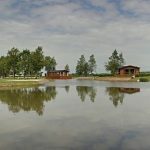 As Lancashire’s premier lakeside lodge development it is set within the idyllic village of St Michaels-on-Wyre and boasts a two acre private lake as its central feature. Surrounded by the seclusion and tranquility of nature, each of the 18 lakeside plots and 12 landscape plots on Rowanwater have stunning views of the serene Lancashire countryside and are highly sought after as the perfect place to design and create a dream home or stylish holiday retreat offering both full residential and 12 month holiday status homes. 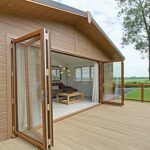 If you are searching for a location that enables you to easily enjoy the natural beauty of the Lake District and the Forest of Bowland as well as the hustle of cities such as Lancaster and Manchester, then this development should definitely be explored. 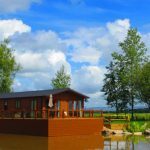 Rowanwater offers a fantastic place to call home or your hideaway. 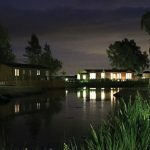 With functional benefits including: natural gas via the mains supply, metered utilities which are charged at the standard rates, free WI-FI throughout the site, elegant electric security gates and 24hr CCTV. 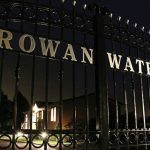 A cost-effective and comprehensive maintenance package eliminates the burden of outdoor chores and makes a life on Rowanwater a life of leisure. On completion of the development the current sales office will re-open as a Coffee Shop providing residents with a cosy little spot to enjoy blended coffee, tea and homemade snacks. 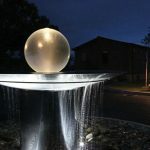 Located next door to the village shop and only 5 minutes away from the historic market town of Garstang, Rowanwater provides the perfect countryside location within easy reach of all local amenities. 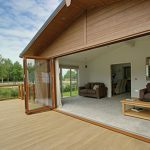 A life of lakeside luxury is waiting for you at Rowanwater and a superb opportunity to acquire a luxury lakeside home built to your specification on a brand new development should be taken advantage of whilst plots are still available. Since Easter Weekend the lakeside plots have been selling fast.